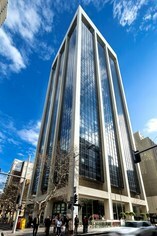 49 Commercial Real Estate and Properties in Sydney are listed in 8 categories. We have 978 Offices for Sale & Lease , 193 Retail Shops for Sale & Lease , 49 Industrial Warehouses for Sale & Lease , 32 Other Commercial Properties for Sale & Lease , 24 Development Lands for Sale & Lease and 11 Showrooms for Sale & Lease . Investing for development potential or finding a secured, permanent CBD parking, you even have the rare opportunity to acquire multiple Carspace in one line. 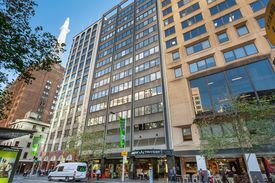 The subject Carspace features: Level 5A, vacant Secure, undercover New lift Close to TownHall, QVB, Darling Harbour and Pitt St Shopping Mall Please call Joshua on 0408 422 771 for inspection. Exclusively presented by Drake Property, this secured and extra large CBD carspace offers you an unique opportunity to home you vehicle. The rare opportunity to acquire multiple Carspace in one line. 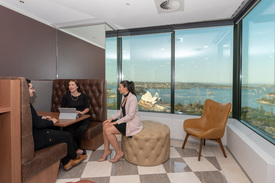 It features: Accessible 24 Hours & 7 Days Secure access, undercover, Lift access Close to TownHall, QVB, Darling Harbour, Barangaroo and Pitt St Shopping Mall Vacant two car spaces for sale or lease Please call or Joshua on 0408 422 771 or Nick on 0418 115 776 for inspection. Under instructions from the "Trustee of the Bankrupt Estate" Auction on 04/12/18 Capitol Terrace is located on the western side of George Street, between Ultimo Road and Valentine Streets, almost opposite Rawson Place, and close to Railway Square and Central. This is the heart of Chinatown, close to World Square, UTS and TAFE and Railway Square and Central. Please ring Nicholas Drake on 0418 115 776 for inspection. 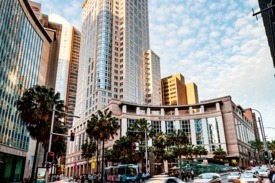 Acquire an ownership underneath the prestigious World Square/World Tower with limited separate title parking lots and enjoy the convenience of meeting clients, reaching stations, courts and even shopping by foot steps. 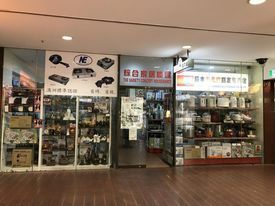 Secure, undercover parking 24/7, easy access Direct connecting World Square Shopping Centre (Coles, Restaurants, Cafes and Pubs) Close to Townhall, Courts, Chinatown and Darling Harbour Suitable for self use Please contact Nicholas on 0418 115 776 for inspection. Single upperground floor carspace 24x7 secure and easy access 5 mins walk to International Convention Centre, SOFITEL, Harbourside Shopping Centre and Darling Harbour 10 mins walk to Townhall and CBD Close to Star City, Ian Thorpe Aquatic Centre and Powerhouse Museum Ideal for owner occupiers 320 380 Harris Street, M Central, is a residential complex with 432 strata titled carspace, part of them managed by Secure Parking. Please call Joshua on 0408 422 771 for inspection. Prime Cbd Carspace For Sale! Additional Space For Storage Contract Exchanged! Exclusively presented by Drake Property, this secured and extra large CBD carspace offers you an unique opportunity to home you vehicle and store your gears. It features: 19m2, including approx 4m2 recess/storage area Level 7, vacant, next to the new lift Secure access, undercover Close to Townhall, QVB, Darling Harbour, Barangaroo and Pitt St Shopping Mall Please call Sam on 0408 422 771 for inspection. Investing for development potential or finding a secured, permanent CBD parking, you even have the rare opportunity to acquire multiple carspace in one line. The subject carspace features: Level 9A Secure, undercover Installing new lift Close to Townhall, QVB, Darling Harbour and Pitt St Shopping Mall Lease expires end of July 2018 Please call Sam on 0408 422 771 for inspection. Investing for development potential or finding a secured, permanent CBD parking, you even have the rare opportunity to acquire multiple carspace in one line. 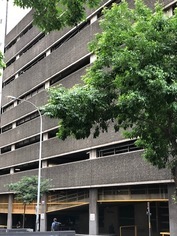 The subject carspace features: Level 5A, vacant Secure, undercover Installing new lift Close to Townhall, QVB, Darling Harbour and Pitt St Shopping Mall Please call Sam on 0408 422 771 for inspection. Wider space 24x7 secure and easy access 5 mins walk to International Convention Centre, SOFITEL, Harbourside Shopping Centre and Darling Harbour 10 mins walk to Townhall and CBD Close to Star City, Ian Thorpe Aquatic Centre and Powerhouse Museum Ideal for owner occupiers 320 380 Harris Street, M Central, is a residential complex with 432 strata titled carspace, part of them managed by Secure Parking. Please call Joshua on 0408 422 771 for inspection. Prime Cbd Carspace For Sale! SOLD!SOLD! Investing for development potential or finding a secured, permanent CBD parking, you even have the rare opportunity to acquire multiple carspace in one line. 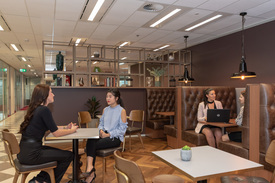 The subject carspace features: Basement level with easy access Secure, undercover Installing new lift Close to Townhall, QVB, Darling Harbour and Pitt St Shopping Mall Lease expires end of 2018 Please call Sam on 0408 422 771 for inspection.